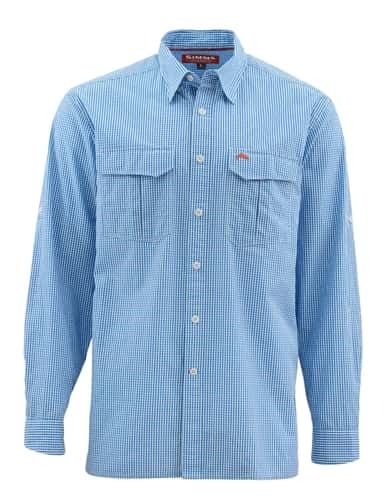 The Simms Transit Long Sleeve Shirt flows with performance cotton fabric, elevated by an ingenious anti-wrinkle treatment that puts irons officially out-of-work. Expedition-ready architecture includes fly box compatible chest pockets, internalized license and passport holders, and a slick sunglasses storage option in the left chest pocket. The high quality is apparent, with a great fit and feel. Also received my order very fast. Awesome service.